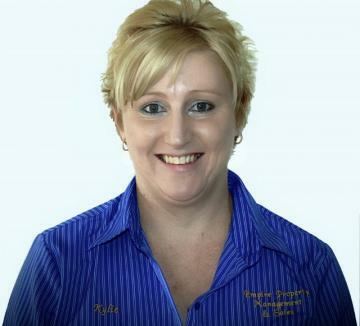 Kylie has been working in the real estate industry for the past 12 years with great expertise in property management. Throughout her career, Kylie has built a reputation on trust, loyalty and exceptional service. Kylie has actively been involved in all aspects of the industry, underpinning her experience in administration, operational, and operational prowess in the fundamental and all aspects of property management has positioned her as a leader in her field. In particular, Kylie exhibits the following areas of expertise: -Industry liaison with clients -outstanding customer service -Excellent communication skills -Proactive team member, focus on business development. -Problem solving and solution techniques, no job is to hard. -Efficient multitasker, able to handle many on the go projects. -Possess initiative, dedication and loyalty within her role, meeting and achieving KPI"s consistently and profitably. VERY QUIET, GATED COMPLEX 3BRM TOWNHOUSE !!!! This 3 Bedroom Townhouse situated in a very quite, gated complex is a must see !!! Close to all amenities and only a few Minutes walk to the city Bus Stop. Sit back and relax in a resort style salt water swimming pool and BBQ area facilities. Features Include: * 3 Good Size bedrooms all with built in robes and shelves. * Open Plan Living/dining area. * Generous Main bathroom with separate toilet & second toilet downstairs. * Security Screens to all doors and fly screens to windows. * NBN Ready. GREAT LOCATION !!! 2 BRM APARTMENT !!!! This 2 Bedroom upstairs one Level apartment is ideally located in a secure complex (Acacia Waters) close to essential amenities such as shops, restaurants, schools, public transport, parks, bike riding tracks and lifestyle activities. A must See !!!! Features Include Upstairs: * 2 Bedrooms both with Built in Mirrored Wardrobes. * Air Conditioned Main Living area and Master Bedroom. * Main Bathroom, with combined shower/Bath combo. * Ceiling fans throughout. * Private Balcony. COSY, 1 BEDROOM DUPLEX !!! + ONE WEEKS FREE RENT !!!! Located just a short drive to Ipswich CBD, highway and RAAF base this property would suit a retired, single or working couple. Features Include: - Combined lounge/dining area with reverse cycle air conditioning. - Plenty of cupboard space with S/Steel appliances including dishwasher. - Fully security screened. - S/Steel ceiling fan bedroom. - Good size bathroom with large shower cubicle. - Own private courtyard. - Single Carport. - Pets Neg upon application. Available from 24/03/2019. 4 BRM DUPLEX STYLE COUNTRY LIVING !!! This 4 bedroom brick home situated in a rural location, midway between Jimboomba & Beaudesert town centre awaits your call !!! Features Include: - 4 Bedrooms, all rooms with built-in robes. - Separate lounge & dining area. - Modern Kitchen with Stainless Steel Appliances. - Modern bathroom with separate bath. - Fully security screened. - Tiled Floors throughout. - Fenced Yard. - Single Carport. - Tank Water only. - SolarHot Water. - Pets Negotiable Upon Application. Available Now !!! MODERN 2 BEDROOM APARTMENT !!! This modern high quality 2 Bedroom Grand Floor Apartment, located walking distance to local shops, schools & transport and only 15km from Brisbane CBD is a must see !!! Features Include: * Master bedroom with ensuite & large walk in robe. * Open plan lounge/dining area with air conditioning. * Modern kitchen with stone bench tops, plenty of cupboard space, stainless steel appliances & dishwasher. * Single lock up garage with remote. Property is suitable for a single, couple or retirees !!! $360 per week + ONE WEEKS FREE RENT !!! BREAK LEASE!! MODERN 2 BED APARTMENT!! This Brand new high quality 2 bedroom upstairs apartment, located walking distance to local shops, schools & transport and only 15km from Brisbane CBD is a must see !!! Features Include: * Master bedroom with ensuite & walk in robe. * Open plan lounge/dining area with air conditioning. * Modern kitchen with stone bench tops, plenty of cupboard space, stainless steel appliances & dishwasher. * Ceiling fans to bedrooms. * Wired for Broadband & cable T.V. * Single lock up garage with remote * Security Intercom System Available Now !!! We recommend you complete our tenancy application form in advance of inspection – this will speed up the process of securing the property. Tenancy Application forms can be downloaded from www.empirepropertymanagementandsales.com.au or email kylie.carey@empirepropertymanagementandsales.com.au for a copy to be sent to you. We ask all prospective views to register their details for all open home times !!! Please note that advertised inspections can change without notice therefore your registration is important !!! We recommend you complete our tenancy application form in advance of inspection – this will speed up the process of securing the property. Tenancy Application forms can be downloaded from our website at www.empirepropertymanagementandsales.com.au or email kylie.carey@empirepropertymanagementandsales.com.au for a copy to be sent to you. Located close to shops, schools & transport this 2 Bedroom Duplex is a must see !!! Features Include: * Good size bedrooms with Built-in robes. * Huge & spacious lounge & dining area, * Tidy Kitchen *Good size bathroom. * Ceiling fans * Fully security screened * Single Carport This property is located 7 minutes to the CBD and just 15 minutes to the beach. Available from 28/02/18 or can be sooner if needed !!! Please contact our office to arrange inspection times !!! $330 P/W + ONE WEEKS FREE RENT !!! SLEEK, MODERN 2 BEDROOM APARTMENT !!!! Near New 2 Bedroom Upstairs Apartment, Situated walking distance to Beenleigh CBD, Public Transport and More !!! Features Include: * 2 bedrooms all with built robes and main having it's own ensuite & sliding door leading to own private balcony. * Air conditioned Main Open Plan Living area. * Fully security Screened & Doors * Kitchen with S/Steel Appliances Including Dishwasher. * Ceiling Fans to bedrooms. * Bathroom with Compact Laundry & Dryer for resident use. * Undercover Carpark with 2car space and extra storage. * Communal Outdoor BBQ Area for residents use. * NO PETS ALLOWED. Please note applications are accepted prior to viewing of the property !!! Date available from 19/04/17. Please contact our office to arrange a private inspection !!! PERFECT LOCATION !!! 2 Bedroom Upstairs Apartment !!! This very neat & tidy 2 bedroom fully secure upstairs floor apartment is a must see, with Only a short stroll to the beach and Centrally located close to Harbourtown and Runaway Bay Shopping centre !!! Features Include: Property will be available for Occupancy from 30th April 2018. Please contact our office to arrange inspection !!! $300.00 P/W + ONE WEEKS FREE RENT !!! BE QUICK TO SECURE !!! 3BRM HOME !!! This 3 bedroom Sleek Modern Duplex which is located within minutes drive to Brassall shopping centre & easy access to Highway is a must see !!! Features Include: * 3 Bedrooms, with built in robes. * Master bedroom with Ensuite & walk in robe. * Open Plan Living area with Reverse Cycle air conditioner. * Modern kitchen with stone bench tops & S/Steel appliances including dishwasher. * Ceiling fans throughout. * Main bathroom with separate toilet. IDEAL LOCATION !!! 3BRM TOWNHOUSE !!! Great location this 3 Bedroom Townhouse with good Size Living areas is a must see !!! Conveniently located walking distance from public transport, Calamvale marketplace and schools. Features Include: - 3 Good size bedrooms, 2 rooms with Built in robes. Master with walk in robe & ensuite. - Stainless Appliances including Gas Cook top, Oven and Dishwasher. - Gas hot water. - Main bathroom, combined shower & Bath. - 3rd Toilet downstairs. - Security Screened & Doors. - Water Tank. $360.00 Per Week + ONE WEEKS FREE RENT !!!! COUNTRY LIVING !!! 3BRM HOME !!! Nestled on a level, fully fenced just over 1 Acre this home offers you the perfect acreage living. Features Include: * 3 Bedrooms, all with Built-in Robes. * Air Conditioned lounge area & combustion Heating for those cold winter nights. * Separate Living/Family room. * Ceiling fans living areas. * Plenty of cupboard space kitchen with S/Steel Appliances. * Two way Bathroom. * Fully Screened, Security doors. * Timber Look Vinyl Floors throughout, No Carpet. * Large Covered Entertainment area. COUNTRY LIVING !!! 4BRM FAMILY HOME !!! Nestled on approx 1.5 Acres this 4 Bedroom family home offers you the perfect acreage Living and to also sit back and relax by the in ground swimming Pool for those hot summer days !!! Features Include: * Master Bedroom with walk in robe & Ensuite. * All other bedrooms rooms with Built in Robes. * Open Plan Living area with a separate formal dining area. * Air conditioned Main bedroom. * Plenty Cupboard Space Kitchen. * Ceiling Fans throughout. * Main bathroom with separate bath/shower. Dear Kylie You do not know how I much appreciate how efficient you are, I love just not worrying about the rental at all!